We know how difficult it can be for educational institutions to organize the collection of fees, our service offers you a smoother process.Let us help you simplify your work process with our School Fees Collection solution. 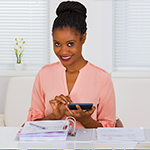 This is designed to enhance a smooth collection of fees, levies, dues, and other forms of payments for schools and other educational organizations. This can be customized to accommodate basic required details needed by Educational Institutions where necessary. 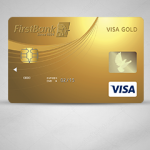 FirstBank Visa Gold Card: Make easy international payments and enjoy discounts/rewards at numerous outlets worldwide. FirstOnline: Perform banking transactions via the Internet, without the waiting and restrictions of branch banking. 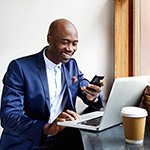 FirstCurrent Business: This account enables small businesses to run transactions at a predetermined fee without paying COT.